Check the stroke of the parking brake by counting the number of “clicks’’ heard while fully applying it from the released position. Also, the parking brake alone should securely hold the vehicle on a fairly steep grade. 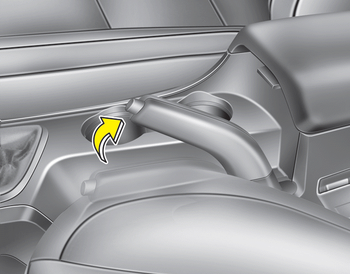 If the stroke is more or less than specified, we recommend that the system be serviced by an authorized Kia dealer.